Weapons of Mass Creation Fest celebrates it’s 7th year as the premier Art and Design conference in the Midwest. August 5th, 6th, and 7th, WMC takes over the Ohio, Kennedy and State Theatres at Playhouse Square in the heart of Cleveland, Ohio. Creating a Captivating Comic Book Storyline with John G.
This August, the 7th Annual Weapons of Mass Creation (WMC) Fest in beautiful downtown Cleveland invites creative professionals, business owners, students and fans from throughout the Midwest and across the country. This 3-day, the action-packed conference features a diverse panel of dynamic speakers, invaluable workshops and exciting interactive programs. WMC Fest is a must-attend event for professional and aspiring artists, designers and entrepreneurs. It is a unique chance for attendees to “Ignite Your Potential” and derive inspiration through networking, learning and celebrating shared passions. Founded in 2010 by Go Media, a Cleveland, OH creative design studio, WMC Fest’s popularity has exploded. More than 1,200 were in attendance last year. WMC is lauded for its dedication to education by showcasing influential speakers, relevant industry trends and smart business strategies. ● Lily Rose Lee, also known as Michelle Knight, the Cleveland kidnapping victim who praises the incredible healing power of art and art therapy. Cleveland design legend Aaron Sechrist returns to serve as host. Kick-off starts with our Cleveland studio tour and will continue with much-anticipated speakers, expert-led workshops, and panel discussions. Also not to miss: Ink Wars and the Go Media Podcast. Plus, check out our Vendor Village, a fully-immersive space complete with live art battles and podcasts. Attendees are encouraged to get their hands dirty and create while interacting with vendors like never before. Tickets are on sale now, and 3-day passes will include admittance to all events (except the workshops, which are ticketed individually). 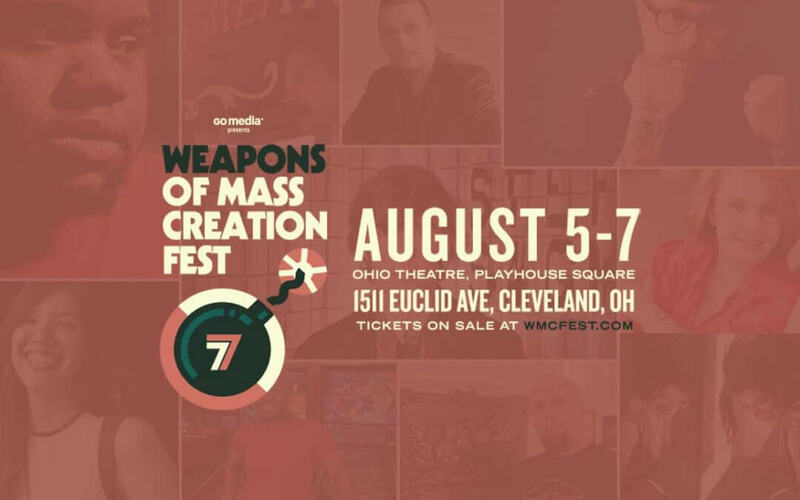 Saturday, August 7th, Lily Rose Lee, survivor, artist, author and victims’ advocate, will speak to a Cleveland audience at the Ohio Theatre at Playhouse Square for the seventh annual Weapons of Mass Creation Festival (WMC7). The inspiration for some of the most moving art is often born of the deepest pain. Lily Rose Lee, formerly known as Michelle Knight, would be one to know. After enduring 11 years in brutal captivity, preceded by a tumultuous childhood, she has emerged with a fire to create, connect, educate and inspire. Weapons of Mass Creation Fest 7 and Go Media are honoured to present Lee as a scheduled speaker at this year’s event. Lee, the author of, “Finding Me, A Decade of Darkness, a Life Reclaimed,” has bravely shared her incredible story with audiences across the country. Now, she delivers an important message of the freeing power of art to the Ohio Theatre at Playhouse Square. During her time in captivity, Lee kept journals, wrote poems and created drawings to help her cope. Her WMC talk will delve into how art contributed to restoring her even in those darkest moments and how art therapy has played a vital role in her journey of recovery. “Art never stops helping you heal,” said Lee, who frequently paints, draws and writes poetry and songs about her experiences. WMC is the premier design and entrepreneurship conference in the Midwest, held in the heart of Cleveland. It is an opportunity for thousands of creatives from across mediums to gather, brainstorm, seek insight and derives inspiration. WMC is sponsored by dozens of local and national artists, businesses and organisations, as well as the City of Cleveland’s Department of Economic Development. This year, it is comprised of 10 talks, six live podcasts and nine workshops. 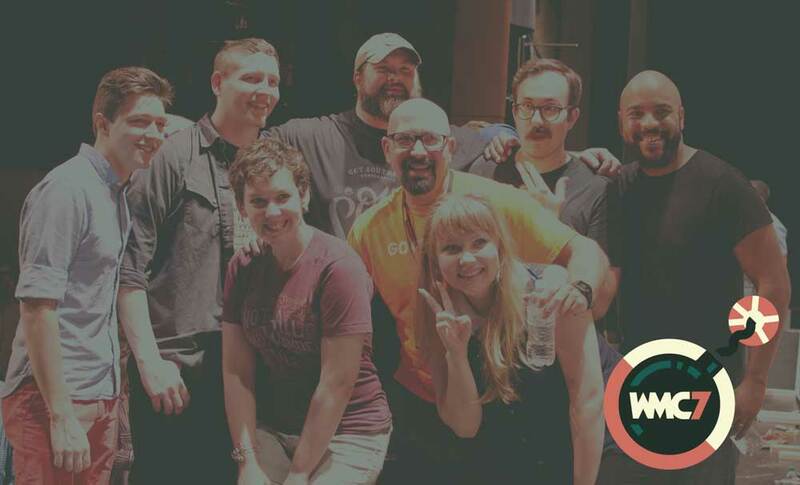 More about WMC7 is at https://wmcfest.com. Sit down with internationally recognized sign painter Sean Starr of Starr Studios in Denton, Texas whose work has been featured on the Discovery Channel, NBC Television, and The Food Network as well as industry publications such as DigitalOutput Magazine, Juxtapoz, Artforum, Los Angeles Times, Fort Worth Magazine, This Old House and SignCraft, and Signs of the Times Magazines. Sean will share his craft, focusing on how to work with large scale lettering. John G., just named Scene Magazine 2016’s Best Illustrator in Cleveland, will teach you to not only start, but complete your comic book story so that those half-finished stories in your drawer will finally come to life. The team from Dropbox is coming in from San Francisco to show how they support creatives. More info to come. Lead by Anisha Jain. Animation Professional & Visual Director Matt Vojacek, illustrator Oliver Barrett, and Art Director Chris Comella discuss the characteristics of a great portfolio. Warning: workshop leaders will be telling it like it is. Bring your laptop and online portfolio or a hard copy of your portfolio to this workshop, please. Whether you are a solo freelancer working from home or a small group of creative entrepreneurs ready to get to the next level, this is your roadmap to success. With Designer, Author and Partner, and Chief Experience Officer of Nine Labs, Brad Weaver. New York City yoga guru/designer Ann Walter is here to show you how yoga is the perfect tool for inspiration, relaxation and that recharge you are seeking in the middle of your work day. *Please note, Ann is also offering a free yoga class to all on Saturday in the Ohio Theatre lobby at 8:30 am* May be moved to Kennedys. In this interactive workshop, the Real Thread team will show you what makes a great t-shirt and how shirts can grow a brand. Every class participant will have the opportunity to design a t-shirt, with the winner receiving a free run of their winning design, printed back at RT headquarters. Participants will also get to live screenprint an exclusive, limited designed t-shirt from the event. Students will need to download Adobe Capture before this class. Transitioning from school to the workforce? Matt Vojacek, Principal & Animation Director of Zwelly Co., will calm your fears and impart necessary wisdom. Mamie Kander Stewart, Founded and CEO at Meeteor, is going to show you how to make meetings the best part of your day. Seriously. WMC is a massively popular three-day event created and hosted in Cleveland, OH. Attendees mostly include professional designers, artists, students and small business owners who flock from around the country, including popular creative hubs like New York, Los Angeles, Austin, San Francisco and Chicago. This year, attendees will have access to 10 speakers, eight workshops, three panels and over 20 vendors. Alumni include Michael Bierut, Debbie Millman, Tad Carpenter, Aaron Draplin, Austin Kleon, Brandon Rike, Chuck Anderson, Dan Christofferson, James White, Johnny Cupcakes, Mark Brickey and the Adventures in Design Podcast, and Jon Contino and National Poster Retrospecticus. WMC Fest attendance has ballooned every year since its 2010 debut, with over 1,200 packing event venues in 2016. As the nation’s largest performing arts complex outside New York City, Playhouse Square attracts 1 million guests annually to its 10 performance spaces: The State, Ohio, Hanna and Allen Theatres (all built in 1921), the Palace Theatre (1922), Kennedy’s Cabaret (1975), Star Plaza (1996), Westfield Insurance Studio Theatre (2005), and Outcalt Theatre and Helen Rosenfeld Lewis Bialosky Lab Theatre (2012). From its Roaring Twenties vaudeville days to post-WWII performers such as Bob Hope, Danny Kaye and The Three Stooges, and Broadway icons like Mary Martin, Yul Brynner and Carol Channing, to the brightest entertainers of today, the most famous national and international performers come to Playhouse Square’s stages, casting it as the region’s top presenter and producer of entertainment. Go Media, located in Cleveland, OH, offers design services, products, and knowledge for clients who seek instantaneous and compelling visual communications. Founded in 2003 by William Beachy and Wilson Revehl, Go Media now houses a team of artists, programmers and strategists who practice the art of communication. Go Media works with brands and individuals with a passion for smart design, bold creativity and meaningful ideas. Our firm is committed to establishing and furthering thriving creative communities online through educational content hubs and via events including Weapons of Mass Creation Fest and On the Map.